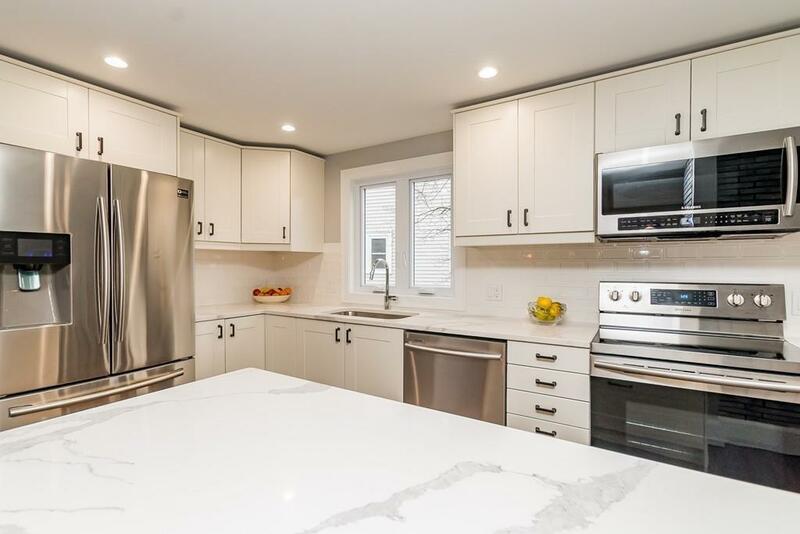 Welcome to this fully renovated home located on a corner lot. Open foyer welcomes you to the family room or 1st floor bedroom with full bath perfect for in-law option. Upstairs your main living includes open living room, dining and Kitchen with quartz counter tops, stainless steel appliances. Modern dual fireplace presents a focal point for the living room and kitchen. Bright windows on the upper level allows the views of Boston to be seen from your main living area. Recessed lighting throughout. Three additional bedrooms, and full bath complete this floor. One attached car garage, and two driveways. Brand New roof, new Anderson windows, central air for the upcoming summer days. New retaining wall, with professional landscaping. Easy commute to Boston and Oak Grove is about a mile away. Open Houses this weekend come see it.